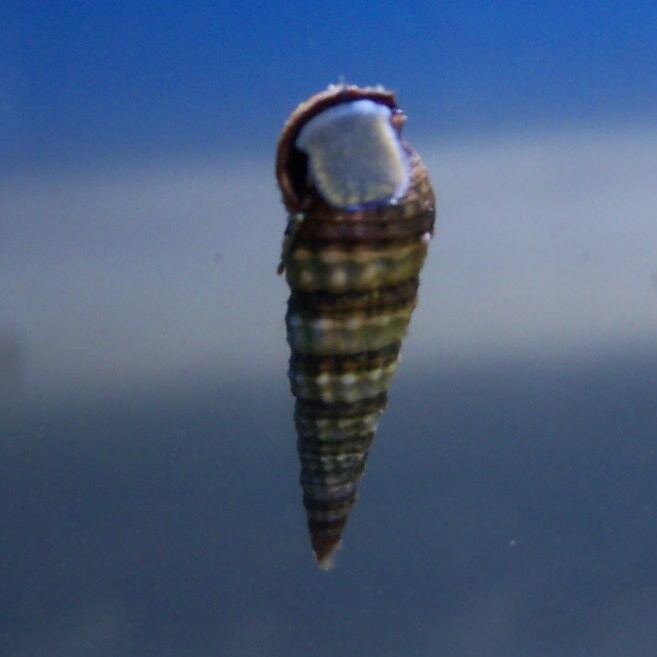 These smaller Cerith snails range in size from a half and inch to almost 1'', but are slender. Their tiny size allows them to reach the nooks and crannies other cleaners can't reach which is necessary for permanent removal of algae sources. These snails will consume diatoms, cyano, film algae, detritus, and hair algae in the substrate as well as on rocks and to some extent the glass in your aquarium. Because of their versatility and hardiness, they are our favorite species of cleaner. We consider these to be some of the most versatile snails we know of, and recommend them as the "staple" of your cleaning crew. You will find that they are most active at night.